Architect or interior designer. 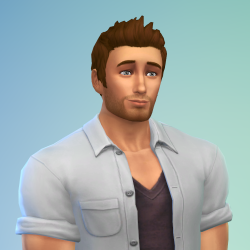 I miss that career from TS3 Ambitions. I hated burglars in TS2 and TS3 so I don't miss them at all, but I'd like firefighters to come back. I don't really care about witches or any supernaturals like werewolves, fairies, etc (but witches seem to be the most asked one). Yes, because I would be disappointed if sims can't live there. In TS4, sims can travel to other residential words without living there anyway. Nope. I'd rather be rich but not famous. Italian food, especially polenta and lasagna. Yes, please! I was hoping we would get deep fryers in Kitchen Stuff along with the ice cream machine, since both came in the same Store set in TS3, but unfortunately we didn't. Can laptops be closed or are they always open? After seeing some Build mode reviews, apparently these laptops cannot be closed, they are always open, which is a little bit disappointing as I was expecting them to be closeable like in The Sims 3. I think that if The Sims 5 ever exists, it's only gonna be after 2021 or 2022. The Sims 4 still has a lot of things missing. I've heard of them, but the game lighting doesn't really bother me so I don't use any. I don't really miss them, I didn't like when they showed up in past games, but I do miss firefighters, I think those should return instead. Yes, that was my biggest complain with City Living. I'm hoping for something similar to that in a University pack. Robots are the only occult I'm always excited for in every sims games. I'm not really a fan of supernaturals so I don't really care about the other ones. Either the Caribbean, Hawaii or Brazil. Also I hope sims can live there not just travel there while on vacation. IngeJones wrote: » I'd like to be able to use the foundation as a room, and put windows in it. Me too. I would like a foundation made out of walls like in TS2 and TS3 that you could paint with wallpapers and place windows just like a wall.